What do I get for registering on SpeedNews.com? All aviation data accessible from the "Data" page. Aircraft detail and Contact/Seller information for Aircraft/Engine/APU listings, including the ability to contact seller. Current issues of the newsletter(s) you are subscribed to, including SpeedNews Today. How do I view my newsletter online? If you are a subscriber and you are registered on SpeedNews.com, you will click on the "News" tab and then click on "Current Issues" for the newsletter you are trying to view. You will be able to access the 4 most recent issues of the newsletter. How do I save the newsletter PDF from a Web link? Once the PDF has opened, click 'Save a copy' in the Adobe PDF tool. Name the file and save the document in the desired location on your computer. How do I obtain a username and password so I can access SpeedNews features? Click on the 'Register' button in the Sign-In box present on every page. Follow the instructions and you will be registered and a username and password will be sent to the email address you provided. On the "News" page, click on the "Subscribe" link below the newsletter you wish to subscribe to and that newsletter will be placed in the shopping cart. From there, follow the prompts to pay for your subscription. Note: You can also click on the "More Info" link for a specific newsletter and view a sample of the newsletter or sign up to receive a four free trial issues to the newsletter of your choice. 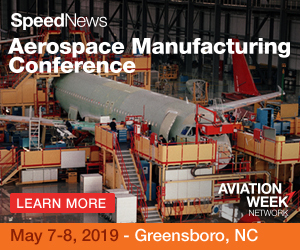 How do I register for a SpeedNews Conference? On the "Conference" page, click on the "register" link to the right of the conference you want to register for and that conference will be placed in the shopping cart. where you will follow the prompts to pay for your registration. Note: You can also click on the "More Info" link for a specific conference and view the details of that conference including the agenda, hotel information, past attendees, registration information, and cancellation policy.